Arizona does have The London Bridge but I wouldn’t recommend it for visitors to the State. An interesting stop on the way to the Grand Canyon might be Falcon Field in Mesa just east of Phoenix. This outpost of an airport has some unlikely ties to British Military history. 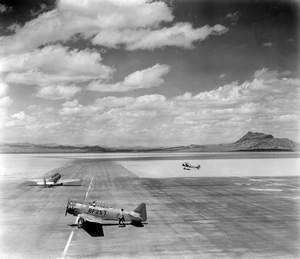 Falcon Field was once a training field for the RAF during World War II. 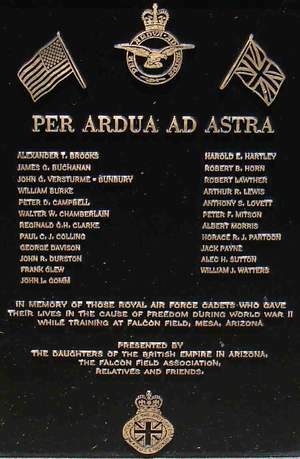 At the beginning of World War II the RAF was looking for a place to train pilots and settled on six locations in the United States including one in the Arizona desert. These Civilian Pilot Training Schools were contracted as British Flying Training Schools prior to the US entering the war. The first cadets of the British Royal Air Force arrived in 1941. 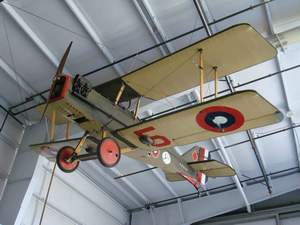 The good weather, wide-open spaces, and lack of enemy airpower provided significantly safer and more efficient training than was possible in England. The airport owner, Hollywood producer Leland Hayward and his partner Pilot Jack Connelly lobbied to have the British choose the Mesa location. Up to that time the airfield had been used to ferry movie stars back and forth from California. Hayward wanted to support the war effort and gain some exposure for his fledgling airline Southwest Airways, which he started with funding from friends like Henry Fonda, Fred Astaire, Ginger Rogers, James Stewart, Hoagy Carmichael and others. During the time the RAF was using the airport, Falcon Field was used as a location for the Thunder Birds film starring Gene Tierney. Some RAF cadets were featured in the movie and RAF cadets were frequently befriended by Hollywood's elite. While the RAF cadets may have suffered from some culture shock by being transported to the desert, many managed to enjoy their stay by spending time with Hollywood starlets, swimming in the Falcon Field pool and playing cowboy-horseback riding across the rugged Arizona terrain. Who could blame them? These young cadets knew they would soon be going back to England to face the war and an uncertain, maybe short future. 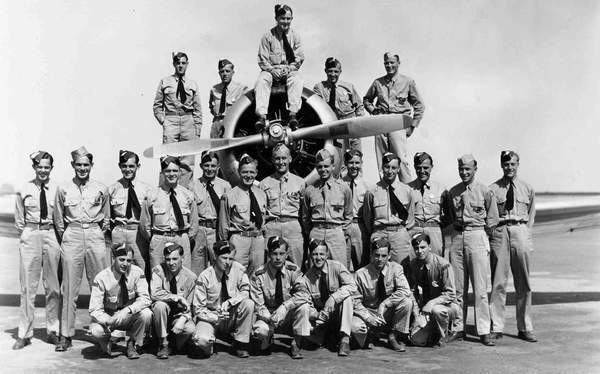 Many did not even escape the perils of training and twenty-three British cadets, one American cadet and four instructors were killed at Falcon Field. These RAF Veterans are now buried in the Mesa City Cemetery, along with several of their colleagues who have since died of natural causes. Several thousand pilots were trained there until the RAF installation was closed at the end of World War II. Falcon Field hosts regular reunions for the RAF veterans in the newer Falcon Field hanger. Now home to a museum and the Commemorative Air Force, this hanger is transported into a 1940's 'USO' show where visitors can recount old stories and relive memories. Falcon Field hosts air shows and has one air museum open to the public. 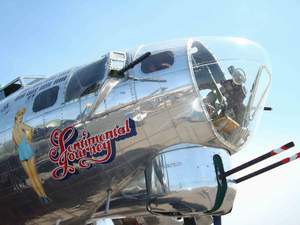 The Arizona Wing of the Commemorative Air Force has a variety of aircraft from WW I through Vietnam, including the most fully restored B-17 flying today B-17G Flying Fortress Sentimental Journey, B-25, C-45, SNJ, F4 Phantom, Migs 15 & 21 and other warbirds.